The appearance of your home’s front entrance if often overlooked and neglected. Whether you live in a house, apartment or condo, sprucing up your front entrance can make an unexpected difference to your living space. With the holidays approaching, now is the time to clean up your front entrance in anticipation of placing your pumpkins, hanging your wreaths and other holiday decorations. 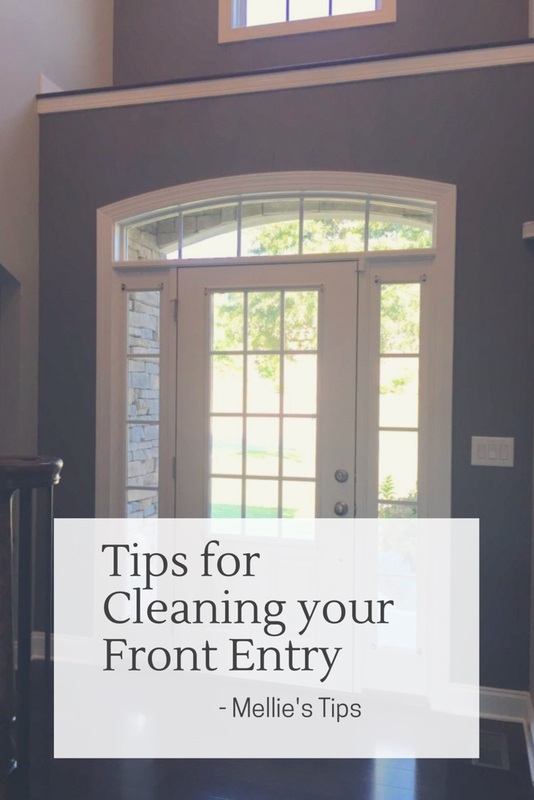 Here are my tips for cleaning your front entry. Wash the windows and trim. Using an old washcloth, I simply use soap and water to wash and wipe down my actual door. When dry, I go back and clean my windows with window cleaner to make them shinier. We have a transom where the ledge gets quite dirty, so that is a trouble spot. Clean your fixtures, and your kickplate (if you have one). Sweep or clean the floor/ground on the outside in front of your door. I swept our concrete porch, and then used the hose to rinse it off. I prefer a smaller porch–less to clean! So, my job was done. If you have a larger porch, remove all items from the porch to make it easier to clean the rest of the porch. I use a broom to reach above my head and knock down any cobwebs or little bugs (or frogs!) that are hanging out around the door. Window Treatments. On the inside, remove any window treatments you may have. It is much easier to clean the entrance when you remove window treatments. Time to clean the window treatments. I take my window treatments down and vacuum them. I also shake them out. Finally, I throw them in my dryer for a few minutes. If you have window treatments that you can’t easily remove, that’s okay, just give them a good cleaning as-is. If you don’t have any window treatments, your job will be that much easier. Clean your windows with a cleaner you like. Remove any area rugs, in preparation for cleaning the floor in front of your door. Work top-to-bottom, and clean your floor at the very end. Apply the same principles to your other doors. I decided I needed to clean my back doors, so did the very same thing in the back of my house. Without a porch to protect them, the back doors get much grungier. Now, your front entrance is all clean for winter, and ready for your holiday decorating! Do you have a holiday decorating tip to share? Post in our comments!